The workmanship and detail is exceptional. 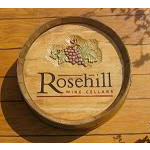 Hand Carved Wine Barrels - Customize with corporate logo, family crest or choose from some wine related themes! Custom carving of your choice. Please inquire for specific pricing. Custom text engraving of your choice.